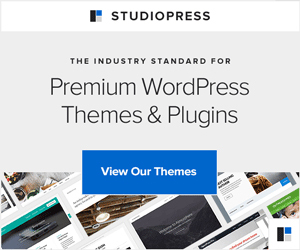 This post contains links for which I might receive a small commission. Just before I went on my cruise last month, I was diagnosed with hyperparathyroidism. It causes lots of serious health problems (which get worse the longer you have it). I had high blood pressure, high cholesterol and lots of other icky side effects. The diagnosis blindsided me. 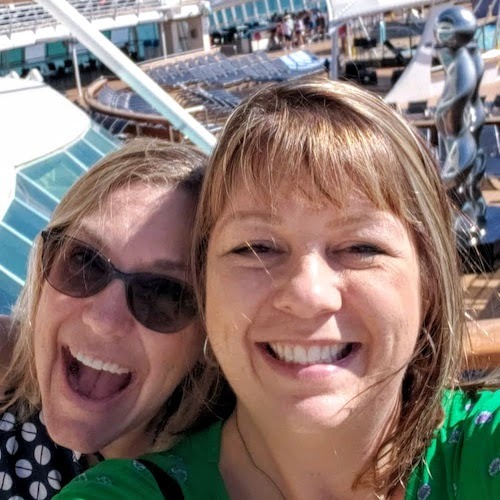 We didn’t have a plan for treatment yet, so all I could do on my cruise was make food and lifestyle choices to help me be the healthiest I could be. I won’t lie, a couple days before the cruise, I cried. A major meltdown. I wanted steak, and dessert, and more dessert, and fruity drinks with umbrellas. I wanted to have fun. I didn’t know if I could eat healthy and still have fun. I ate fairly healthy. I had a lot of fun (thanks, Dana). And I came home with better blood pressure and about a pound lighter than when I left. And, I had steak. And, I had dessert, at lunch AND dinner. And I even ate soft serve ice cream and drank a couple fruity drinks. No umbrellas, though. So, is it possible to eat healthy on a cruise? YES! It’s not only possible. It’s almost easier than eating healthy at home! 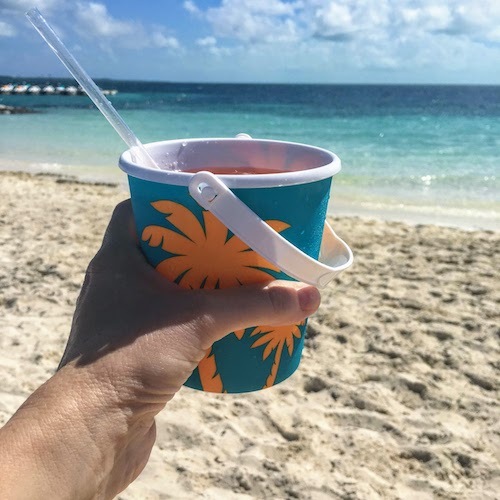 I figured I can’t be the only one who wants to eat healthy on a cruise, so this post is for you! If you have a special diet at home, it’s easy to meet those dietary needs on a cruise. It doesn’t matter if you need a diabetic diet plan, a gluten free diet or if you have allergies. Cruise ships are incredibly accommodating to special dietary needs and are one of the most allergy friendly place I’ve ever eaten. When you book your cruise, note your special dietary needs or food allergies. The last thing the cruise ship wants to do is trigger your allergies on vacation! At dinner the first night, your server will review the menu to let you know which are the allergy free foods you can enjoy. If you have to avoid gluten, they’ll even bake you a loaf of gluten free bread and a gluten free dessert for each meal. At breakfast and the lunch buffet, foods are clearly labeled indicating if they are gluten free. Other food allergies can sometimes be harder to determine. If you have concerns, just alert a member of the wait staff and they will assist with anything you need. 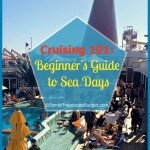 There’s a cruising myth that you WILL gain a pound a day on a cruise. But, I have never gained that much. There are ways to stay healthy on a cruise, without sacrificing the fun and food you want to enjoy. Eat smart at breakfast. Rather than eating all the bacon and sausage your plate can hold, eat a balanced breakfast with fresh fruit, lean protein like an egg or yogurt, and a whole grain such as oatmeal or whole grain toast. Ask for milk for your coffee instead of using the high fat cream. Make healthy buffet choices at lunch. Sure, you could load up on burgers, fries and pizza. OR, you could make a nice salad with lots of fresh vegetables, and enjoy it with the roasted meat of the day and a sensible size serving of rice, couscous, or potatoes. Of course, enjoy one dessert — just not a huge plate of desserts. Hydrate. And not just with fruity umbrella drinks! Drink water throughout the day to stay hydrated. It helps curb hunger signals (that are actually thirsty signals). Look at the dinner menu in advance. Believe it or not, planning ahead lets you dream about the meal you’ll enjoy. For some reason, that makes the dish taste even better. You’ll eat less because you’re enjoying the food you have been thinking about. And enjoy a dessert! Skip it if you don’t like it. 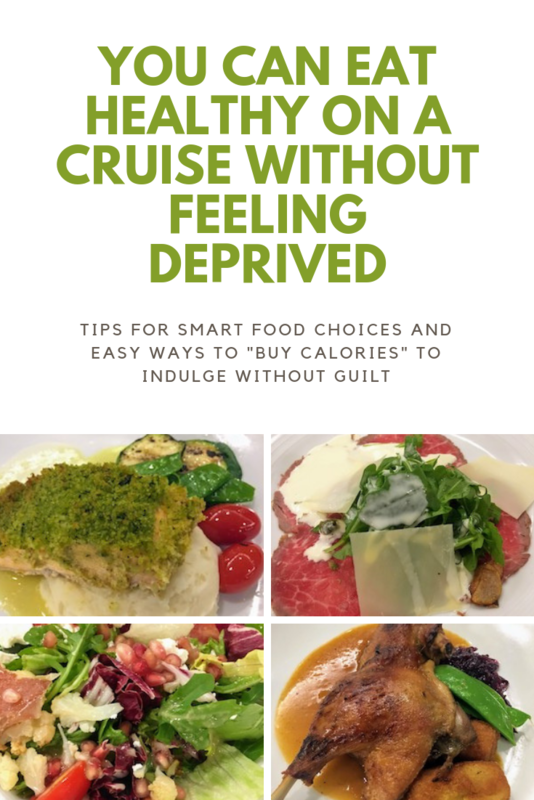 A couple times on our cruise, I got food that was okay to eat, but “not worth the calories.” One of the great things about cruising is you can push that plate aside and say no. Why add calories you don’t really enjoy? Try something new. If you’re trying to improve your diet generally, a cruise is a great place to discover new foods. If you don’t like it, you can always get something else. On my last cruise, I ate (REALLY) horseradish crusted salmon. It was amazing! The horseradish was mild as prepared, not overwhelming. It was one of my favorite meals, and I am not a big fan of fish. At another meal, I tried tilapia. I did not like it at all and swapped it for chicken. Much better. Drink in moderation. Liquid calories count, even on vacation. So, set a limit on the number of drinks you’ll have during the week. Or choose lower calorie cruisers drinks. That piña colada is packed with sugar, but a mojito is a lighter choice. Enjoy what you choose to eat. Bottom line, it’s vacation. Who wants to think about keeping fit and healthy on vacation? Not a lot of us. So, when you do eat, be mindful. Enjoy each bite. If you don’t enjoy it, don’t eat it. That’s a great place to start. It doesn’t have to be yes or no, just be smart about your choices. If the idea of eating healthy doesn’t fit your vision for a vacation at sea, you can work on keeping fit and healthy. Basically, make choices that “buy calories” so you can indulge without taking home an extra ten pounds. If you’re already fairly fit, it’s not hard to stay in shape. Take the stairs when you can. My personal rule is if I’m going 4 levels or less, I take the stairs — whether up or down. Added bonus, you won’t have to wait on crowded elevators to get where you’re going. Enjoy a fitness class. Cruise ships have a full recreation staff which offers fitness classes, usually in the mornings. Some are short, only 20 minutes. But it’s enough to get you moving. Walk a few laps. Every day, I try to walk at least a few laps on the top deck of the ship. That sea breeze, the vast ocean and Caribbean music playing by the pool take my neighborhood stroll to a new level. Learn to dance. 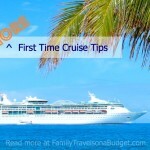 Most cruise itineraries include fun activities like free dance classes. Burn calories while having fun. Join the dance party. Throughout your cruise, there will be dance parties. Join the fun! Challenge yourself with a new activity. 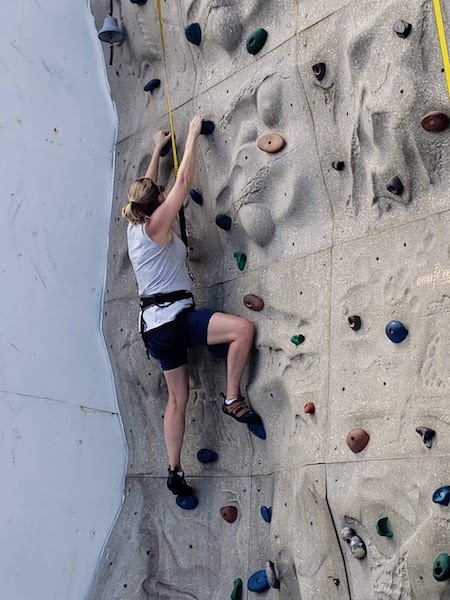 I climbed (partway, anyway) up the rock wall on our cruise ship — four times! That’s a good workout, and I had fun the whole time! Ships have many activities you can try. Who knows, maybe you’ll discover a new favorite activity! 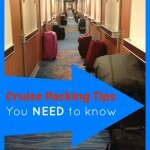 You don’t have to take a health and wellness cruise to get healthy or stay healthy on vacation. Make wise choices at each meal, add some extra steps wherever you can and dance the night away. You’ll go home with lots of great memories, but without the extra ten pounds!